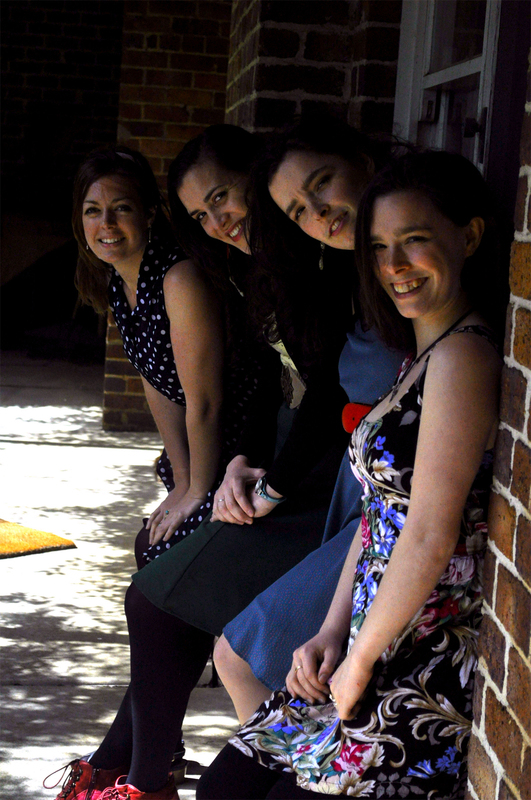 Victorian Celtic quartet Co-cheòl are launching their debut EP (‘Co-cheòl’) at the Boite World Music Café in North Fitzroy on Saturday 11 October 2014. Boasting a wealth of instrumental skill and experience, a real strength of the group is in their vocal harmonising which comes to the fore in their EP. The group was also recognised with a runner-up award in the recent AUS-ACA A Capella Championships, plus awards for ‘Best Band’ and ‘Best Comedy Song’. 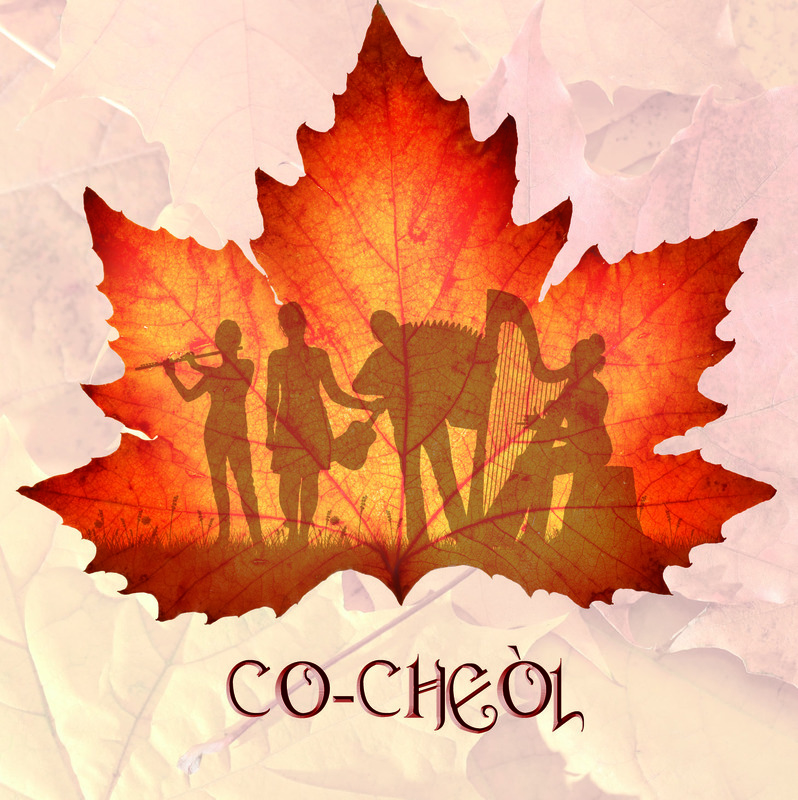 Co-cheòl made their festival debut in January 2014 at the ever-popular Cygnet Folk Festival in Tasmania to rapturous responses from audiences. The group started singing together in October 2013 and this self-titled EP is their first recording. 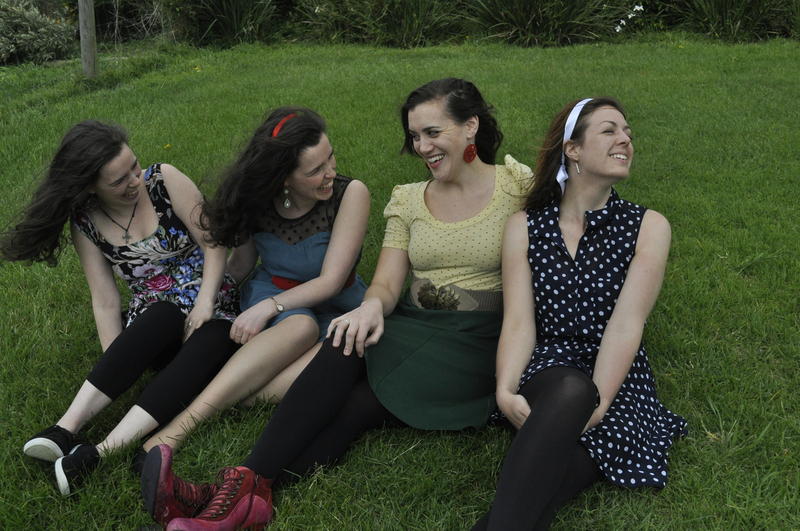 Co-cheòl comprises Claire Patti (vocals/harp), Georgina Walton (vocals/ukulele), and twins Merrily Hansen (vocals/flute) and Ginger Hansen (vocals/accordion). Claire Patti was recently awarded the 2014 Female Vocalist of the year in the Australian Celtic Music Awards. ‘Claire, Merrily and I have all sung together in the past at one point or another in a community choir. Claire has her own solo career as well as singing with Taliska. She was doing a solo album and obviously can’t do harmonies with herself while performing! So she asked Merrily and I if we could give her a hand with concerts. We did the backing tracks on her album and thought this is a good thing; we’ll keep doing this. Claire works at a school where Georgina works, and one day Claire was singing to herself at work and then this other voice, Georgina, joined in with a great harmony line – and that was it! Co-cheòl is pronounced ‘Co-shaal ‘ and appropriately means ‘harmony’ in Scots Gaelic. Ginger spoke briefly about the origins of the band’s chosen music. ‘We have a family connection with Celtic music to varying degrees. We’ve all just had different amounts of exposure to it. The National A Capella Championships were great. The event was incredibly well-organised, really well-attended, and it was just amazing to get in contact and make friends with a lot of other musicians and groups. Quite of lot of groups from New South Wales and South Australia as well. When we go to Adelaide we’ll be meeting up with those people. It was great to be in the company of a lot of other music nerds who enjoy singing as much as we do! More details on these dates are on Co-cheòl’s gig page. You can see and hear more of Co-cheòl on their Youtube channel, Facebook page and Soundcloud site. The EP is available from 11 October 2014 and pre-sale details are at Bandcamp.